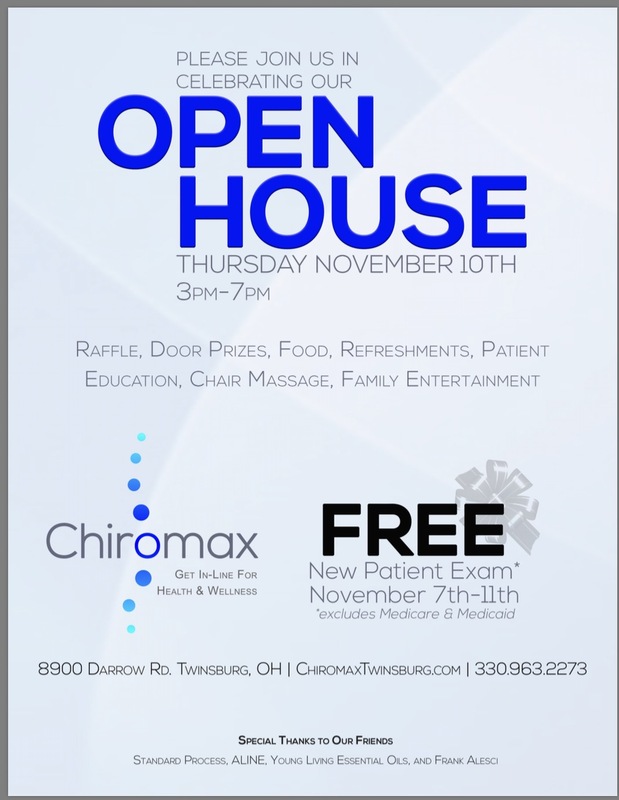 We’re having an open house on November 10th! Come and see us! Copyright ©, Chiromax Chiropractic Twinsburg. All Rights Reserved.